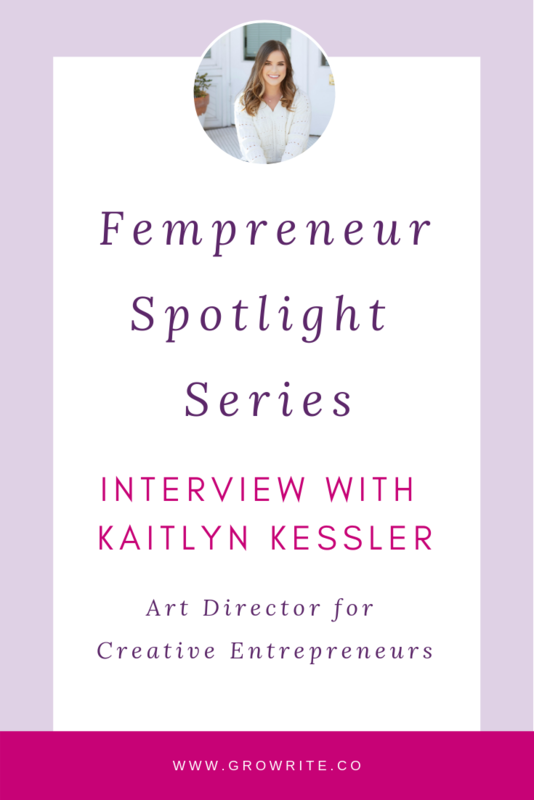 Welcome to the Fempreneur Spotlight Series! This is a brand-new initiative which I'm launching in 2019, to spotlight the many incredible female online entrepreneurs out there! ​And I couldn't be *more excited* to unveil my very first spotlight in the series: an interview with Kaitlyn Kessler, otherwise known as the highly-talented art director, designer, and owner of TheCrownFox.com. Kaitlyn first came to my attention a few months ago, with her beautiful Instagram graphics and honest, personality-packed social media captions. So it was an absolute pleasure to get to find out more about her and her graphic design business for this piece. Ready to hoover up her wisdom? Read on! Hi Kaitlyn! i'm excited to hear more about your entrepreneurial journey -- could you share with us how you came to start your business? Yes! I started my business basically on a whim. My sister had wanted to start an Etsy shop and I thought there should be a lifestyle-esque blog component. I liked those types of blogs and thought that it would be fun and easy - it was NOT! But in my research, I found what I consider to be “the other side” of blogging - people with businesses who blog. And I was immediately hooked and thought, “this is what I do every day at work, why can’t I do this online like these people?” and dove in head first. The first year was a big mess, honestly. I had no business background or knowledge and every client felt like sheer luck. I’m not sure if I would phrase it as “overcoming” anything - but I certainly learned a lot. The biggest learning curve wasn’t something like Pinterest or Instagram or client-boarding… it was more about the mindset. Learning to think of myself as a business owner and treat my business like one was the biggest challenge and yielded the best results. I was encouraged to keep going because I had a vision for the lifestyle that I wanted and I knew this was a way to get there. The thought of going back to the structure and rigidity of a 9-5 (or even trying to find one with the now huge gap in my resume) felt so off-putting. I basically felt like I had to figure it out and make it work. Ah - so many. I made an entire podcast season about this, haha! But I think in doing that and spending time reflecting and looking back, the biggest one would have to be more about self-development than just business. Somewhere along the way I realized that I got to make the decisions about what happened - not anyone else. And that can obviously be pretty daunting, but I found it actually relieving and exciting. If I decided I was going to have a successful business and work to make it happen, then I would. I think a lot of us get stuck in this place of going-through-the-motions and being afraid to say what we really want or set concrete goals and visions. Once I realized that I just needed to get specific and set real goals and decide to make it work, things got a lot easier. But I think more importantly is the handful of DMs or Emails or messages in my Community that I get saying ‘oh that little thing worked!’ Or ‘oh I tried that idea and it’s amazing’. I resisted stepping into a sort of helping/leadership role like that out of fear for a long time, but turns out helping people feels really amazing and is oddly addicting! The concept that you can make a business out of anything and you can make real impact (and money!) out of your skills and interests. It makes me so excited. Every person I meet I’m always like “oh you like XYZ? You should start a business about it!” which is probably super annoying! Trust in yourself and your abilities to figure things out. Stop looking for the quickest, easiest “solution”. I get worried that our market is getting saturated with so many messages of doing things overnight, making 6-figures by next week, etc. Yes, that’s exciting, and yes, I do believe that you can make your own reality… but I also strongly believe in YOU and creating YOUR business, not just using a formula that worked for someone else one time and now they sell it as the end-all-be-all way to run a business. Are there any mentors / books / resources / courses that you'd recommend to other entrepreneurs? Yes! I encourage everyone to read Essentialism by Greg McKeown which completely changed my life. I also love StoryBrand by Donald Miller, especially for service-based businesses. I have had the most amazing time over the course of my business working with mentors like Amber McCue and now I’m in a program with James Wedmore and I think those are two fantastic people to follow and learn from. In 2019 I’m focusing on the word "connection", and my biggest goal is to cultivate a community of entrepreneurs who are focused on making business effortless and fun, and built around their own wants, beliefs, and desires. ​thank you kaitlyn, for taking the time to share your experiences with us! 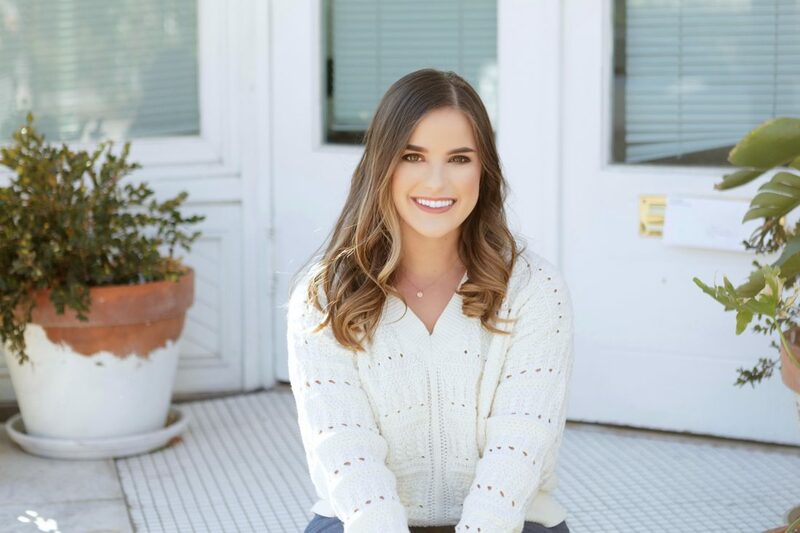 Kaitlyn works with successful and driven creative entrepreneurs - giving them cohesive, clean, and compelling visuals for their business. Her goal is to give her clients back their time, so they can step into the CEO role of their business and not get caught up in the details. Her client list includes coaches, developers, copyeditors, boutique agencies, photographers, and more. She specializes in building out brand collateral and upkeep tasks - blog graphics, social media graphics, etc. as well as course materials, launch related visuals, workbooks, and more. 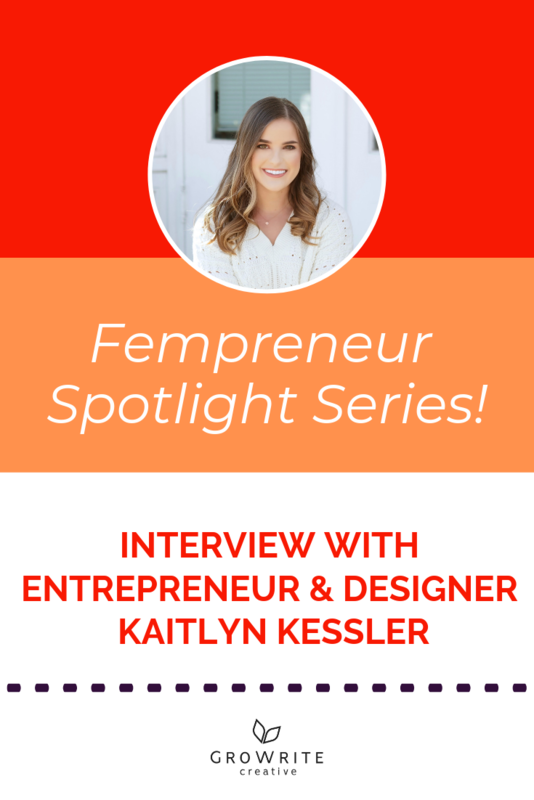 When she's not designing for her clients, Kaitlyn is helping the next crop of creative entrepreneurs create effortless businesses that they truly love through her podcast and free Facebook community, The Effortless Entrepreneur. Kaitlyn currently resides in Charleston, South Carolina (and will gladly show you around when you visit). In her spare time, she is moonlighting as head taste-tester at @kaleandcocktail, and snuggling her two kittens Montenegro and Fernet. "In The Effortless Entrepreneur we believe in a few things: #hustle is not the way to run a business, we can do work we truly love, and there is life outside of our computer screens. We're working to create businesses (and lives!) that feel aligned and easy - and we'd love for you to join us!" What most struck a chord with you about Kaitlyn's interview? Personally, I loved her pragmatism about trusting yourself to figure things out in your business over time, rather than getting obsessed with finding the quickest and (supposedly!) easiest path to success.